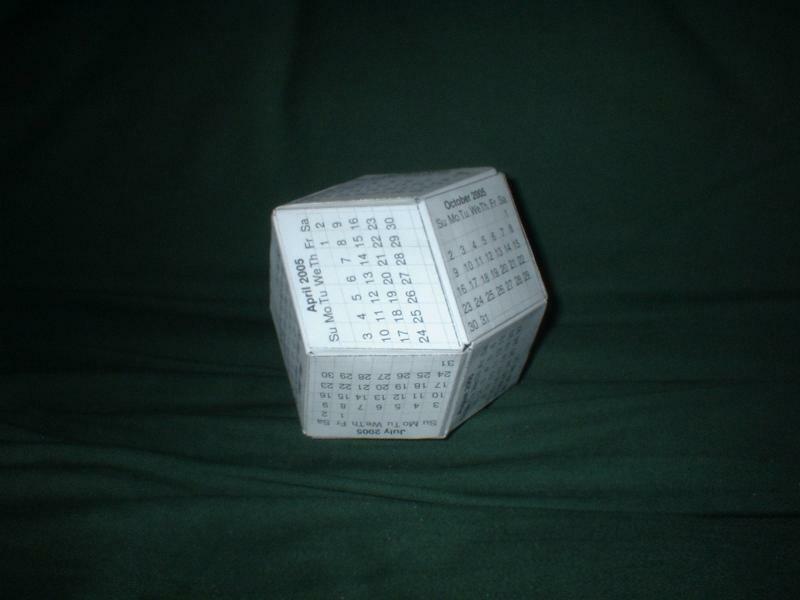 Ole Arntzen has a website that allows you to download patterns for (and gives instructions for assembling) calendars on both rhombic and pentagonal dodecahedra. First print the following patterns (I put them in seperate files in case you want to use different colors). On second thought, it might be better to have a look at these directions first.